Debra Bell, homeschool veteran and author of The Ultimate Guide to Homeschooling, is convinced of this. And she has research to back it up. As she pursued her doctorate in educational psychology at Temple University, she explored the fact that non-credentialed, non-professional homeschooling parents are motivating their children to learn and getting results. This flies in the face of popular opinion that the most effective teachers are professionals and the best learning environment is an institution. A home provides a great environment for a child to experiment and investigate. A home, in contrast, allows freedom for a child to be directed by his God-given curiosity. “Children are born with the gift of curiosity and a desire to engage and explore their environment. They are intrinsically motivated,” she says. 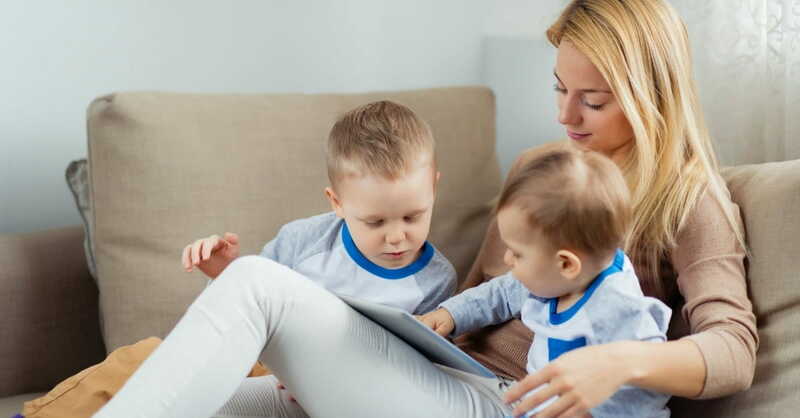 The homeschooling mother, because she is intimately acquainted with her children, can match a child’s needs to his or her interests and abilities. The dynamic of a mom in tune with her child, she says, allows a mother to adapt and modify her teaching plan to best meet her student’s needs. She recommends allowing younger children to make choices between pre-selected options. Ask them, “Which book would you like to read?” As children mature, she suggests giving them increasing freedom to make their own choices within certain parameters. As an example of how to teach time management, she suggests that instead of scheduling every minute of a child’s school day, say instead, “Here’s what you need to do by lunch. You choose when to do it.” By not over-scheduling or under-structuring, a child learns responsibility and self-government. Home is also a place to celebrate and develop differences. “There is a broad span of normal,” Bell points out. “When our children are young,” she says, “we understand this. We enjoy watching our children develop and recognize that the timetable is pre-designed. We don’t panic if our children don’t crawl at four months or walk at nine. In the same way we treat the wide range of physical development as normative, we should also recognize this to be true of cognitive development.” It is only when we send them to school, she points out, that they are squeezed into a standardized formula that determines what’s “normal.” Because teachers are dealing with 25 or 30 kids, they determine what average is, and teach to it. “God loves diversity and differences,” she says, “but the enemy has drawn us into the lie that same-ness is validating.” We pass this mindset along to our children. “Their self-worth and identity is caught up in how they compare with their peers. If they measure themselves and find themselves better,” she observes, “that breeds pride. If they measure up worse, they feel as though they are not qualified. If they’re average, they decide there’s nothing special about me.” A home environment can reinforce the fact that God made them the way they are, and their differences delight him. Older siblings are the best role models. There are several reasons for the effectiveness of the homeschool environment according to Bell, and the interaction between siblings ranks high on the list. “Older siblings are experts at the skills the younger ones are trying to master,” she points out. Encouraging the older child to explain to and interact with the younger one reinforces both students’ learning. “We all know that the teacher always learns the most.” Having to articulate the information in a way a younger child can understand further develops an older child’s brain and forces them to practice their skills. The younger child is more likely to be empowered by learning from the older sibling because he realizes that the older student also had to learn the same material at one time, and that gives him hope and inspiration. Relationships are critical to learning. “Think back to a class you loved in high school,” Bell invites. “Without a doubt, I bet you loved the teacher, and felt like the teacher cared about you.” Because human beings are social creatures, she maintains that learning is a social endeavor. Children need to feel connected with the people they’re collaborating. “They need to get feedback from someone who values them, rather than from demotivating classrooms and teachers. They need to be accepted by their peers and in an environment with people who are personally invested in them,” she says. This environment is found most often in a home, where parents and siblings are fully vested in a child’s life. 1. Accurate, timely feedback. She defines this as “coaching.” Because homeschooling parents have fewer children in their “classroom,” they can and should deliver feedback in “real time,” when it is most helpful. Resist the temptation to put off grading lessons and papers. This article originally appeared in the June/July 2013 issue of The Mother’s Heart magazine and is used with permission. Lori Hatcher is an author, blogger, and women’s ministry speaker. She shares an empty nest in Columbia, South Carolina, with her ministry and marriage partner, David, and her freckle-faced, four-footed boy, Winston. A homeschool mom for 17 years, she’s the author of the devotional book, Joy in the Journey – Encouragement for Homeschooling Moms. You’ll find her pondering the marvelous and the mundane on her blog, Hungry for God...Starving for Time.